On a winter’s afternoon walk 30 years ago, Hermine Demoriane paused by a battered tomb with a barely legible name. 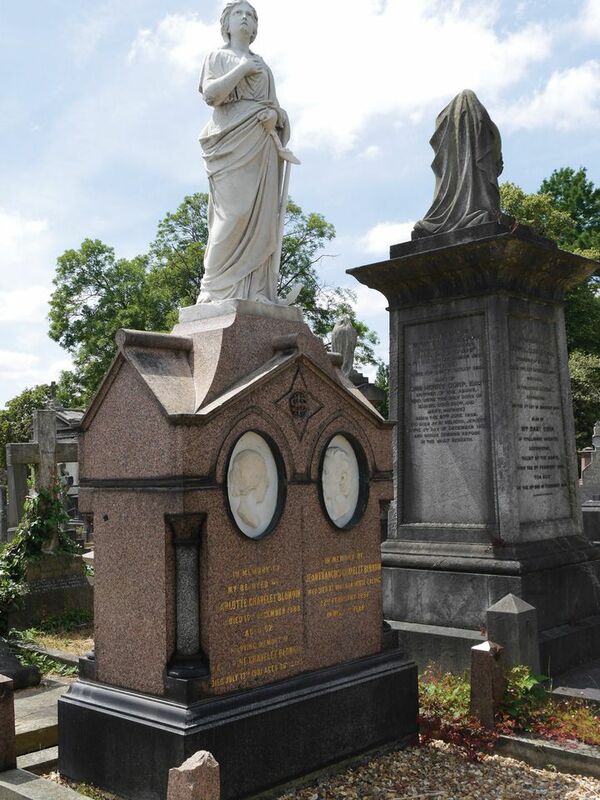 It would have meant nothing to most passersby among thousands of stone crosses and weeping angels in London’s Kensal Green cemetery, but she recognised the name Jean-François Gravelet Blondin instantly. Demoriane is a French writer and former tightrope walker, and she had just published The Tightrope Walker, a history of her craft. 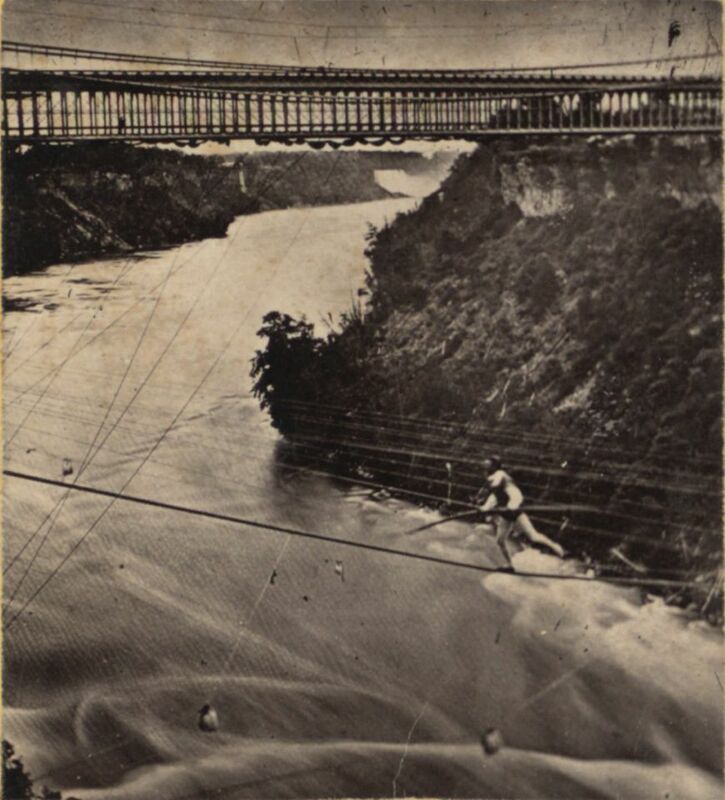 Blondin was a hero, once the most famous tightrope walker in the world. The tomb, Grade II listed, is now one of those restored in the huge cemetery—although conservation experts disliked the lettering redone in gold rather than sober black—thanks to the Blondin Memorial Trust, which Demoriane founded. Members bring champagne and flowers on the weekend closest to the anniversary of his death on 22 February 1897, a year after his last performance in Belfast when he was already ill from diabetes. The trust plans further restoration of the original appearance of the tomb, including its decorative railings. Although the tomb proudly gives his last address as Niagara House, Ealing, Blondin made his fame in the United States, where on 30 June 1859 he crossed Niagara Falls on a rope almost half a kilometre long, slung 50m above the water. He would cross again and again, blindfolded, with a wheelbarrow—now in the collection of the V&A Museum—and once with a small stove on which he cooked and ate an omelette halfway across. When the Prince of Wales came to see the show, Blondin offered to carry him over. The prince politely declined, so Blondin carried his manager across on his back instead. polishing technique was reinvented by Alexander MacDonald, an Aberdeen stonemason, after he saw the ancient Egyptian pink granite carvings brought back to England by Giovanni Belzoni—who before he became a notorious tomb raider was a circus strongman.